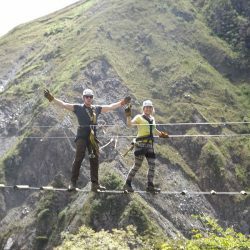 Tourists from around the world come to Peru, not only to see Machu Picchu but to walk the Inca Trail, perhaps the most famous trek in South America, tourists are attracted not only by the challenge walk, but also by the beauty of its landscapes, stunning along the way and the mystery that lies at the end of the route ruins. 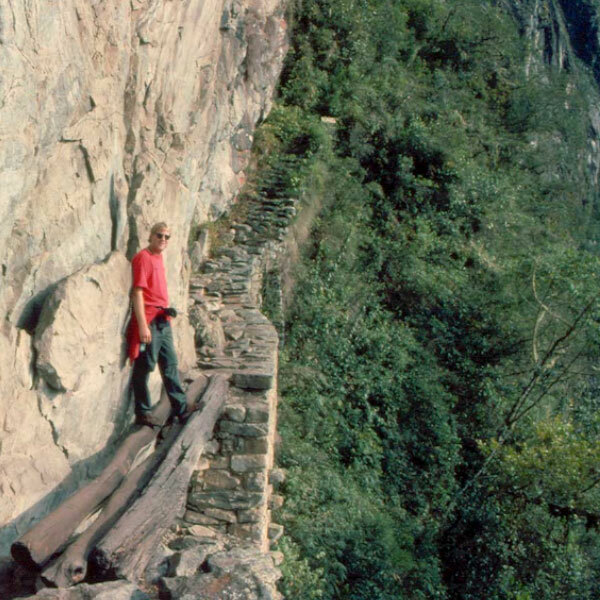 There are 3 roads leading to Machu Picchu Inca Trail. The first, more difficult and take more than 7-8 days. This road is very difficult and altitude can exceed 4,500 meters.  The second option is the most popular, 4 days and 3 nights, and distance is 42 kilometers. Finally, the last option and also the shortest, lasting 2 days and 1 night. This is a simple and easy route. 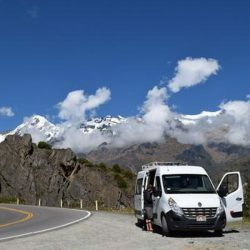 You will be picked up from your hotel Cusco between 5:30am and 6am and driven to the town of Ollantaytambo with the rest of your group, 1hr45 from Cusco. In Ollantaytambo you will have about 40 minutes to get some breakfast (not included) and use the bathroom. 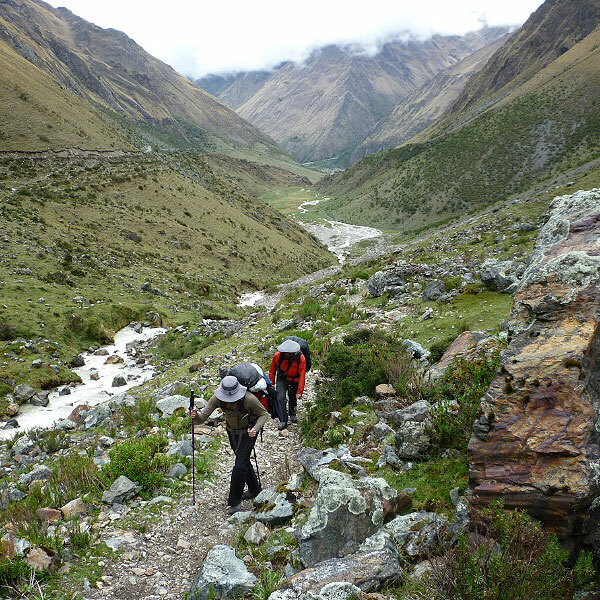 Afterwards it is a 20 minute drive to KM 82 which is the check-in point for the Inca Trail. Here you will have some time to adjust any last minute packing details and the porters will check in, once they have passed the control we will begin the trek. The first hour or so walking is on mainly flat ground until we reach the lunch stop. After lunch and a break to enjoy the scenery we will continue hiking for about 2 more hours on a gradually ascending trail. 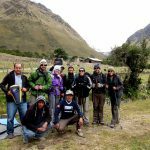 You will pass the archaeological sites of Llactapata, Qoriwayrachina and Wallabamba before reaching the first campsite at 2853m.a.s.l. (9360 feet). The first day you have the opportunity to purchase drinks and snacks from local people living in the area, and there are bathrooms available at the campsite. 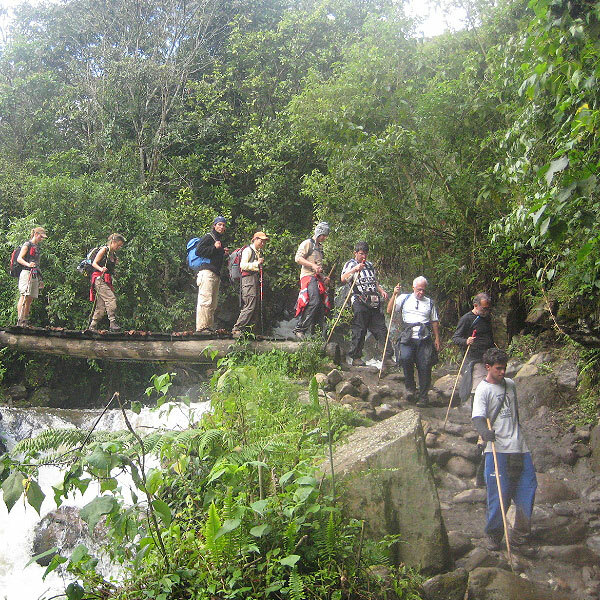 After breakfast you will begin the toughest part of the trail as you walk up and up and up through the cloud forest for about 3 hours until emerging into the Puna ecosystem in the high Andes. Here vegetation is sparse and you will feel the temperature drop as you reach the highest pass on the Inca Trail called Warmiwañiusca or “Dead Woman’s” pass at 4314ma.s.l. (14,153 feet) from where you will have an unbelievable panoramic view of the whole area. After a break you will begin descending once again for about 2 hours until reaching the campsite for lunch. This day will be the toughest day, but you will arrive to the campsite in the early afternoon – make sure to bring along with you playing cards or a book to read, or you may choose to take a nap until dinner time! The campsite is at 3564m.a.s.l. (11,692 feet) and there are basic toilets available. 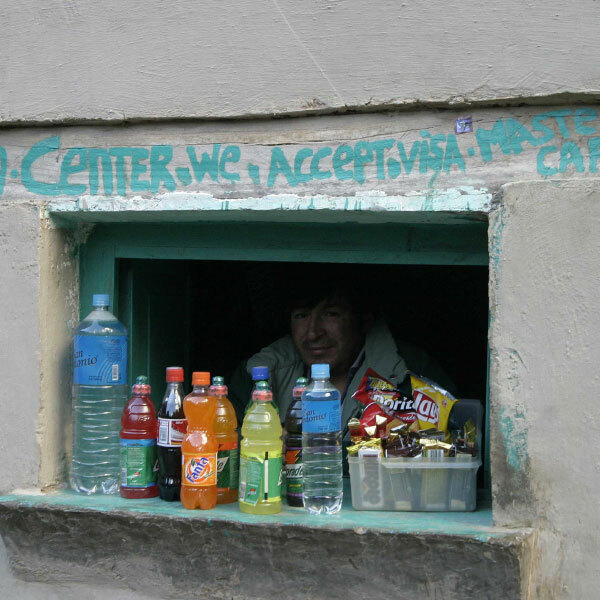 Water, alcoholic drinks and snacks are not available for purchase. 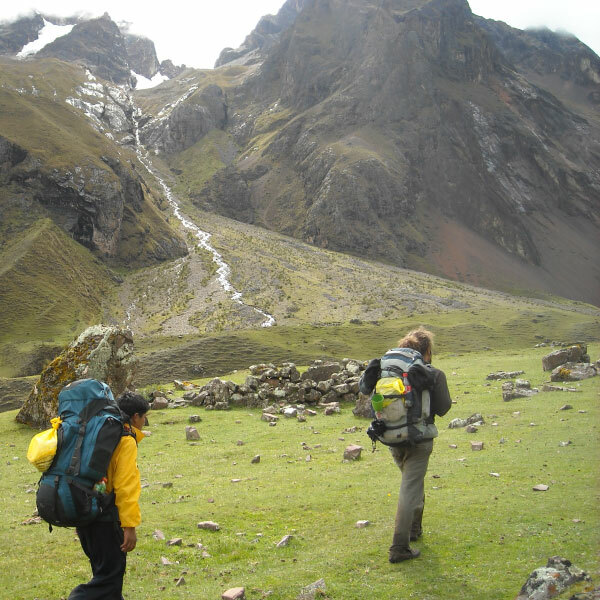 After breakfast you start the steep ascent towards the second most important pass of the trail at 3,921m.a.s.l. (12,864 feet). About 2 hours into the climb you will reach the Sayamarca ruins, and from there it is about 40 minutes further to the pass. 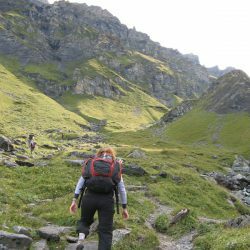 After the pass the trail will continue descending and ascending with stairs – a good workout! You will have a guided visit of Puya Patamarka, another important archaeological monument. 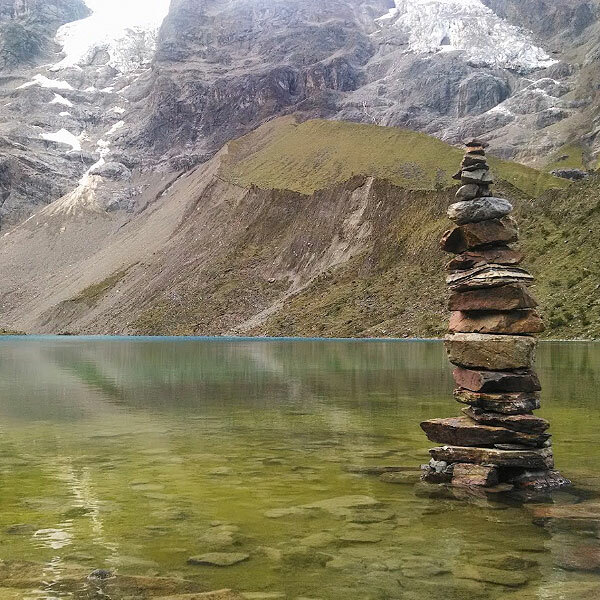 A short distance from Puya Patamarka you will have lunch and about 1 hour to rest. 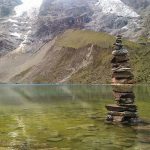 In the afternoon there will be about 2.5-3 hours more trekking, the final portion being a descent of approximately 2000 Inca stairs to Wiñay Huayna (Forever Young). You will have a guided visit of this impressive archaeological complex. Dinner and overnight at the campsite at about 2,692m.a.s.l. (8,845 feet). Water, alcoholic drinks and snacks are not available to buy this day. The final day we have a very early start at about 3am to arrive in time for sunrise at Machu Picchu. After breakfast we will begin the trek to the gates where we will wait until 5:30am for them to open. From there it is only about 1.5 hours further to “Inti Punku” or the Sun Gate where you will have the most impressive panoramic view of the citadel. 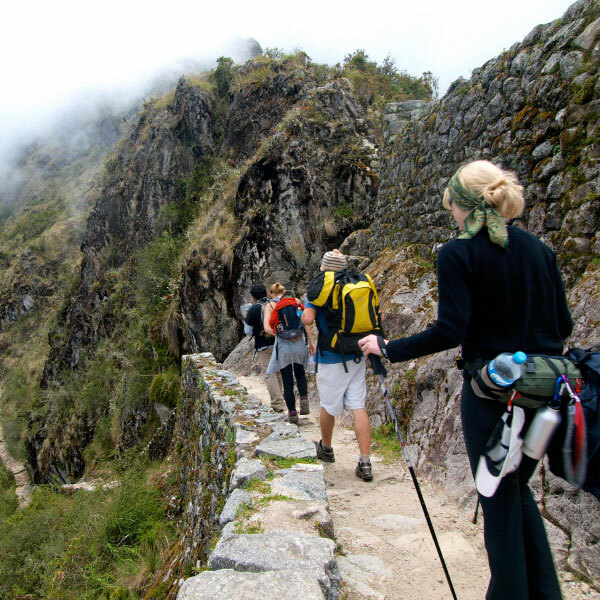 At the Sun Gate your group may choose to wait while the clouds lift from Machu Picchu for a magical picture of the site. Machu Picchu is the best known of the Inca ruins as it is recognized worldwide, however it is not mentioned in any of the writings by Spanish Conquistadors. It is believed to have been constructed around the mid-15th century and was “rediscovered” by American historian Hiram Bingham in 1911. The guided tour of this fascinating place is an awe-inspiring experience. From the Sun Gate it is another 40 minutes walking until reaching the Lost City. You will leave your bags at the entrance and take a break here for a snack. Afterwards your guide will bring you on a full guided tour or the archaeological site which will last for about 2 hours. 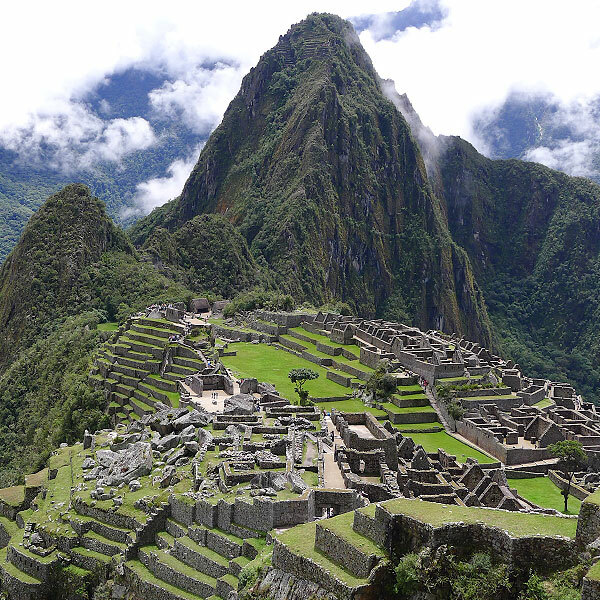 Machu Picchu is open until 5:30pm so you can stay for the rest of the afternoon if you choose to explore the site on your own. After your visit in Machu Picchu you will descend the mountain to Aguas Calientes (1hr downhill on foot, 30 minutes by bus – US$12 optional. 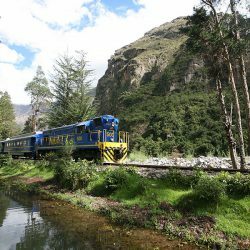 In the price of US$475 is included the train of 18.20pm departing from Aguas Calientes, if you want to come back earlier you can select the 16:22 pm (US$25) return train. 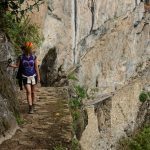 WHAT TO BRING TO THE INCA TRAIL 4 DAYS? 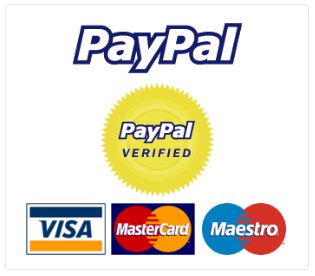 To make the reservation must transfer 50% of the total value of the package through Western Union offices. The other half must be paid upon arrival to the city of Cusco. You must send a copy of your passport and / or student card. 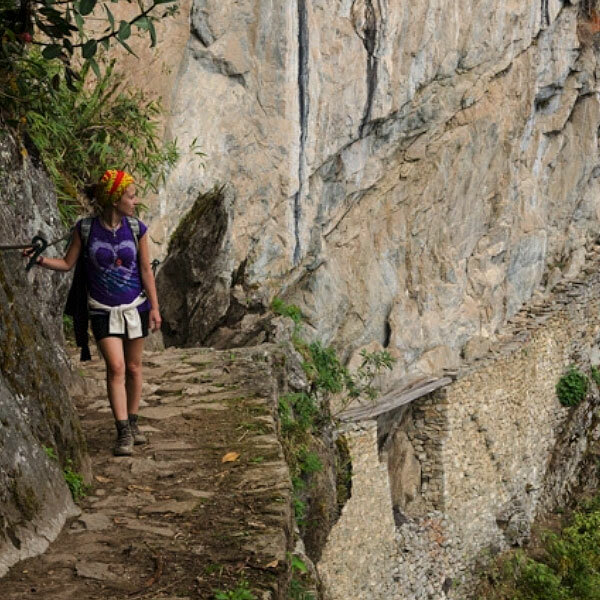 Availability per day for entry to the Inca Trail to Machu Picchu is 500 people. This figure includes tourists, porters and cooks. It is recommended to make a reservation a few months earlier. 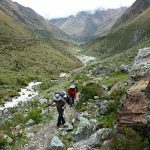 Space availability for the Inca Trail is the same for all tourist agencies, so if not available, the agency can not make reservations for the Inca Trail. 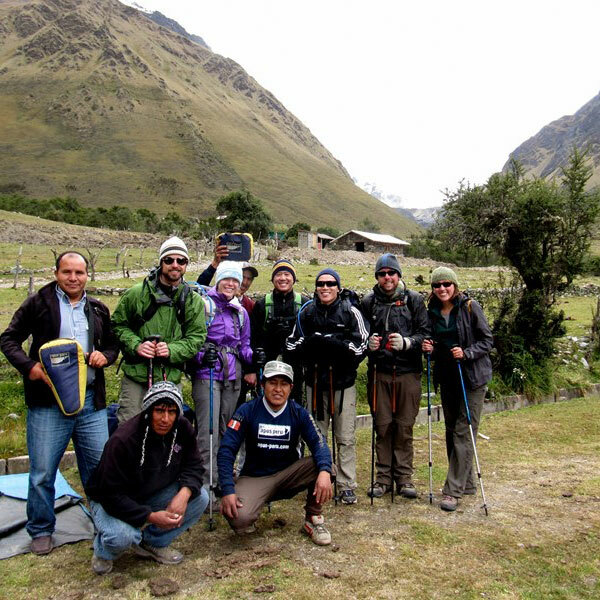 Services on the Inca Trail: The camps are outdoors, tents are used. Only the last camp has hot showers. As for safety, there are trained to care for them in case of accidents and emergency medical personnel.